Lynn has been at the office of Drs. Edstrom, Trigonis & Swenson for 26 years. 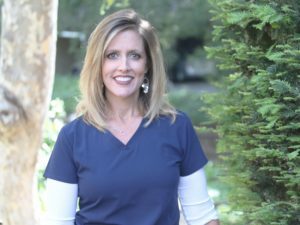 She holds credentials for both Registered and Certified Dental Assistant and has worked as a chairside orthodontic assistant as well as a treatment coordinator during her career. Her passion and knowledge of the field of orthodontics is the driving force behind her commitment to the practice. In her spare time, she enjoys watching her daughter play volleyball, exploring the many hiking trails Santa Barbara has to offer, and creating lots of memories with family and friends.